So excited to share how Turning crazy into a superpower book is now a TV series. Wants to normalize and educate on mental health specifically bipolar. AJ’s role models of women were strong, powerful ladies. Sometimes keeping your script to yourself can be a selfish thing. Sharing your story can be freeing. 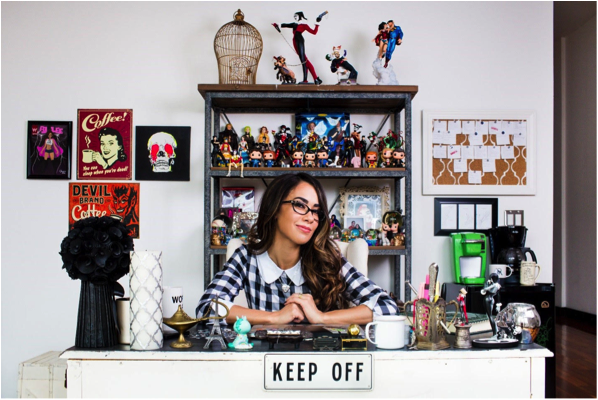 AJ Mendez is the New York Times Bestselling author of Crazy Is My Superpower: How I Triumphed by Breaking Bones, Breaking Hearts, and Breaking the Rules. She is a mental health advocate and animal rights activist, currently serving as an ambassador for the nonprofit organizations NAMI, The JED Foundation, The ASPCA, and Girls Make Games. A former professional wrestler with the WWE under the ring name AJ Lee, she has won three championships and numerous awards, as well as inspired a generation of young girls to wear sensible shoes. AJ has been made into several video game characters and action figures, all with substantially exaggerated body measurements. In her spare time, she enjoys comic books, video games, and internet videos of unusual animal friendships. She is currently working with the producers of the Genius franchise to turn Crazy is My Superpower into a TV series, which she will write and executive produce. Follow AJ on Twitter and Instagram at @TheAJMendez .